The 41st annual First Night First Day celebration will again usher in the New Year in spectacular fashion with a two-day joyous celebration of arts, culture and family-friendly activities, in partnership with the City of Boston, on Dec. 31, 2017 and Jan. 1, 2018. The organization has also announced this year’s ice sculpture theme, Enchanted Forest, and headlining musical act, Eli "Paperboy" Reed, popular local soul-inspired singer and songwriter. All events are completely free and open to the public. "First Night in Boston is a long-standing tradition and special celebration that brings together thousands of residents and visitors to ring in the New Year," Mayor Marty Walsh said. "These festivities help foster the spirit of community, and offer us a moment to reflect upon our progress over the past year, while welcoming more opportunities for continued success in the coming year. I look forward to another fun and successful celebration as we look ahead to 2017." 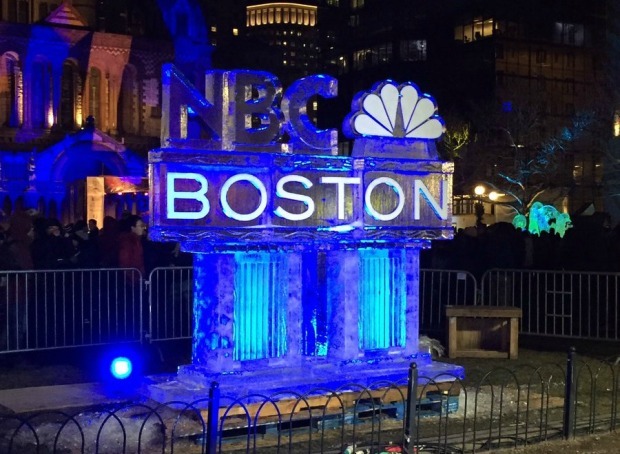 Again this year, NBC Boston and necn will televise First Night festivities live on Dec. 31, from 6 to 6:30 p.m. and on NBC Boston, necn and Telemundo Boston from 11 p.m. to 12:30 a.m. NBC Boston, necn, and Telemundo Boston are First Night’s exclusive television partner for the second consecutive year, joined by IHeart Radio, which will serve as exclusive radio partner for the first time. In addition to the signature sculptures in Copley Square, the event’s popular third annual Ice Gallery will feature a new interactive digital/mobile experience to encourage participants to stroll through the Back Bay to view the ice sculptures generously provided by the business owners of Newbury and Boylston Street. Families and kids of all ages will be "enchanted" by magical forest themed ice sculptures crafted by artists into dragons, unicorns, castles, and mythical creatures. 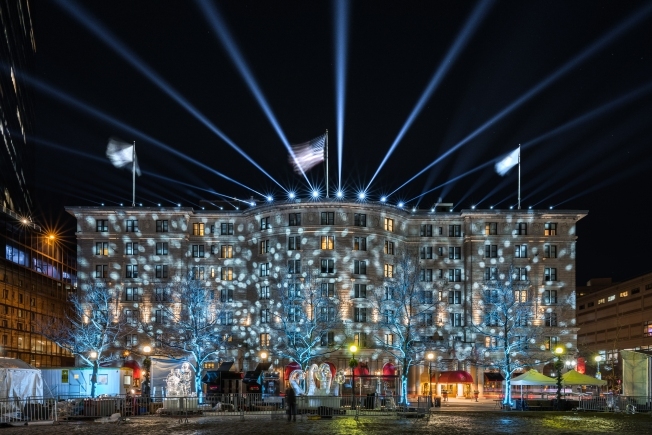 The magical evening culminates with the highly anticipated "Copley Countdown," a multi-sensory display of live music, dazzling light show and pyrotechnics in Copley Square. The diverse entertainment program will get underway at noon on Dec. 31, 2017 in Copley Square and continue throughout the day and evening with a robust line-up of local performers. Headliner, Eli "Paperboy" Reed, is a modern day soul singer. He grew up in Brookline, Massachusetts, but his music has taken him all over the world and back. His songs have been featured in major television and films and in Spring 2018 he'll be releasing his sixth studio album. The full entertainment schedule can be found here. The First Night First Day Boston festivities would not be possible without the support of 2018 sponsors, partners and donors including: The Highland Street Foundation, Mabel Louise Riley Foundation, Greater Boston Convention and Visitors Bureau, The Mugar Foundation, Plumbers Union Local #12, Alnylam Pharmaceuticals, Inc., Gourmet Catering, Xfinity, The Lynch Foundation, our Host Hotels, and our Host Restaurants, and media partners NBC Boston, and IHeartRadio. For a complete list of sponsors please visit http://www.firstnightboston.org/sponsors. For more information on First Night First Day Boston 2018 please visit www.FirstNightBoston.org or follow on Facebook, @FirstNight onTwitter, @firstnightboston on Instagram, or follow the conversation using #FirstNightBoston.